Loading up my Bolt EV! So far, most of my trips in my Bolt EV‘s first week and a half have been commuting solo to work and back home and running various errands around town. Yeah, my wife and I went out to brunch once. But today, for work, I filled my car with three colleagues and an enormous suitcase to go to a meeting a half hour away. Interestingly, the Bolt EV didn’t seem to handle differently with the additional several hundred pounds aboard. And, everyone seemed to be pretty comfortable. Further, with the quiet of the EV powertrain, conversations were easy to follow between the front and the back rows. As for the suitcase, I just removed the delicate privacy panel and dropped it in. I didn’t even need to remove the false floor panel to accommodate it. Piece of cake. 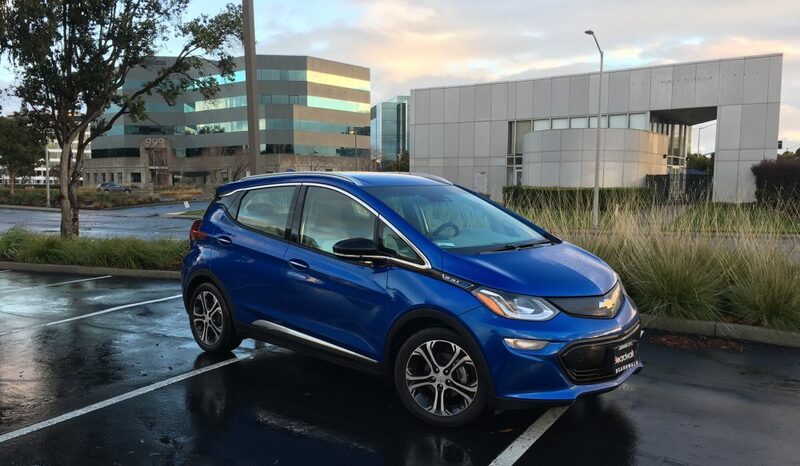 This entry was posted in cars, Chevrolet Bolt, Chevy Bolt, electric cars, green cars, Uncategorized and tagged cars, Chevrolet Bolt, Chevy Bolt, electric cars, green cars, plug-ins by stevegoesgreen. Bookmark the permalink.